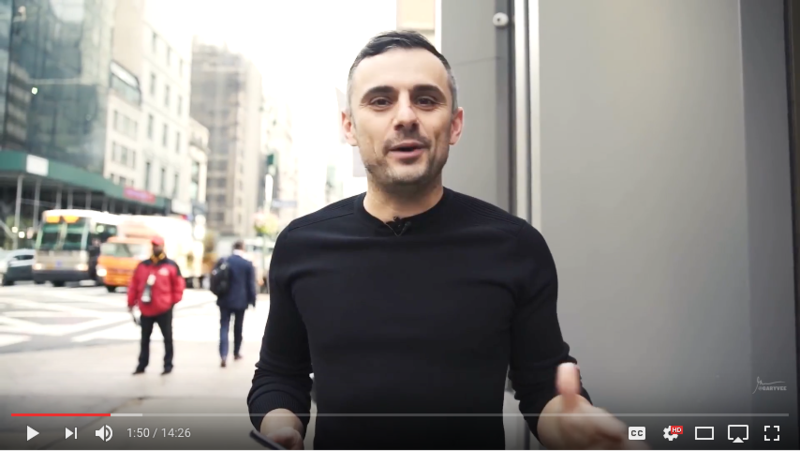 How to Build a Business with Hustle Mentality via Gary V.
A few years ago a good friend introduced me to Gary Vaynerchuk. At the time I thought he was fantastic but he had a wine business online and invested in a few companies that made him a lot of money. I dropped him off my radar because he built a big company bigger, but I didn’t feel I could really relate to him despite dreams and aspirations of my own. Fast forward a few years down the road and now I’m an entpreneur. I am building a company that is going places, hiring staff, and doing some incredible work for our clients. And through it all we’ve stayed true to our Day 1 mission – making a positive impact in the lives of others. So it only makes sense to revisit the past and one of the most incredible voices in the modern business economy. Take a minute and watch this video from Gary V. His words are inspiring, real, and driving home all that we are doing and talking about as a company built on hustle mentality with dreams of a bigger and brighter future.